SOC manages a wide portfolio of munitions storage and disposal, including large items (explosive devices and mines), medium caliber munitions, and small arms and fuses. For more than thirty years we have operated with a strong safety record, using only environmentally responsible disposal processes. 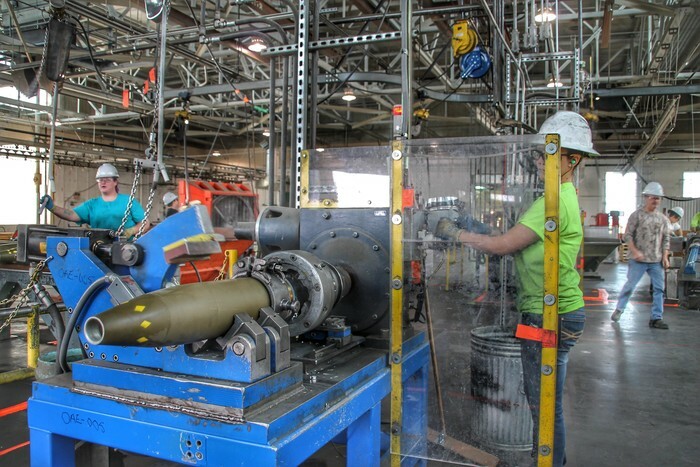 As the operating contractor for the U.S. Army’s largest facility capable of premier R3 (resource, recovery, and recycle) ammunition storage and demilitarization in the world, SOC has safely demilitarized nearly 80,000 tons of ammunition in a five year period. In the last three decades, our ordnance operations and security personnel have been integrated with the customer to secure ammunition in an area spanning over 200 square miles.